“It is better to give than to receive” goes the old adage, and today I feel it is very much true. Although I hope that tomorrow – or whenever these books I am sending out today arrive on your doorstep – that you will be equally pleased to receive! 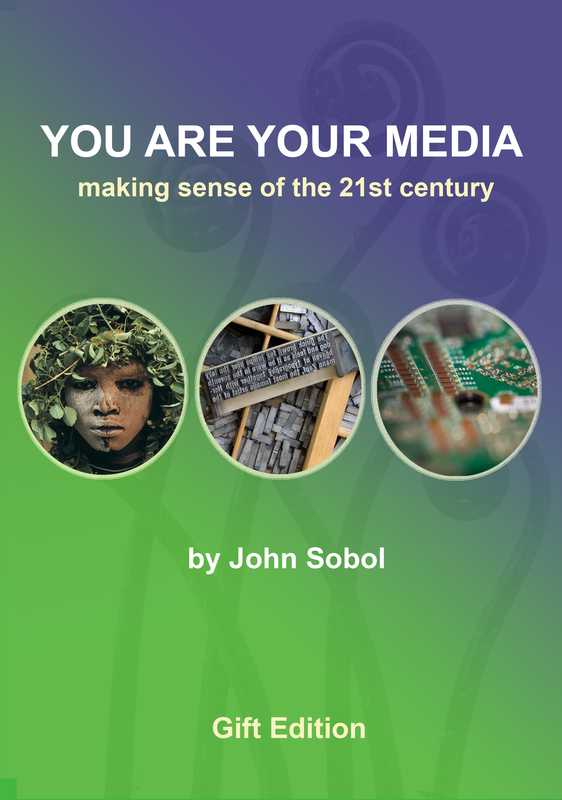 For today I am sending out 20 copies of the Gift Edition of You Are Your Media. The Gift Edition is an exercise in Public Gifting. Here is a picture of the book’s cover, which – for better or worse, given my limited skills – I designed myself. Having my son Louis show me how the Gradient tool works on Photoshop helped a lot! and last but not least I will be sending copies to two people who don’t know me at all but whose words I have used to open You Are Your Media: Vandana Shiva (Director of the Research Foundation for Science, Technology and Ecology, India) and Julian Jonker, (South African lawyer and cultural activist). Thanks to you all for all your good will! I hope you enjoy the book..